My Bloody Podcast #29 – ‘Candyman’! Here is the super spectacular 29th episode of our horror podcast under the MULTI-MEDIA MEN banner called ‘My Bloody Podcast‘, where the show is related to all things HORROR! Here on this new show, Preston Barta from Fresh Fiction and the Denton Record-Chronicle and I talk about everything we love about horror movies, tv shows, and horror themed music. In our twenty-ninth episode, our topics include discussions on the ‘Candyman‘ remake from Jordan Peele, Mondo’s soundtracks to Castlevania, and horror movies that deserve awards this year. There was also a great question that asked: “What was your urban legend you remember from your childhood?” and more. We also give you “Bloody Recommendations” of two horror films, being ‘You’ll Like My Mother‘ and ‘Single White Female’ from Scream Factory. 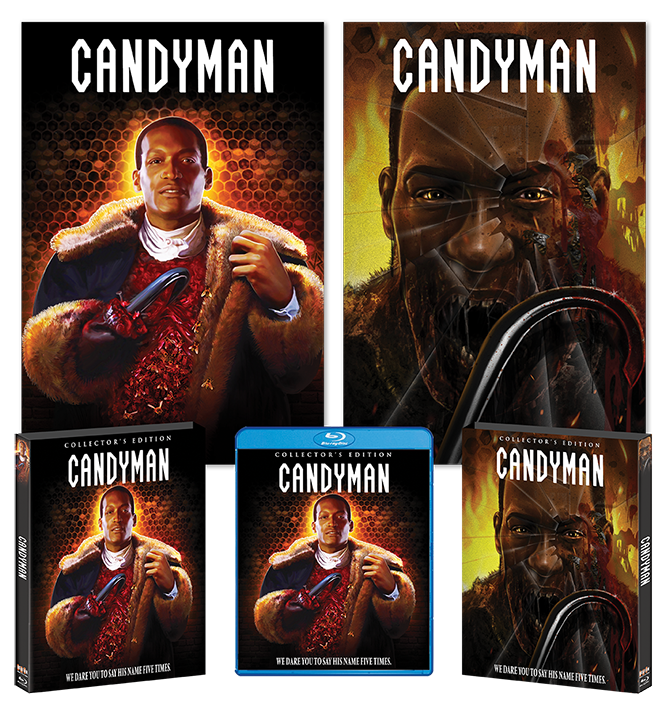 Our big topic is, of course, is ‘CANDYMAN‘, where we discuss the film, its production history, the actors, and more. It was so much fun. This episode is guaranteed to thrill you, chill you, and fulfill you. FOR THIS PARTICULAR EPISODE, THERE WERE SOME TECHNICAL DIFFICULTIES, SO PLEASE BEAR WITH US. Climax – My Bloody Podcast #42! ‘The Craft’ – My Bloody Podcast #40! ‘Happy Death Day’ & ‘Happy Death Day 2U’: My Bloody Podcast #38! My Bloody Podcast #33 – ‘Critters’! This entry was posted on Sunday, December 2nd, 2018 at 11:41 am	and is filed under Film, News, Podcast. You can follow any responses to this entry through the RSS 2.0 feed. You can skip to the end and leave a response. Pinging is currently not allowed. [shouting in German] You are all swine! You have brought shame to your houses! Losers!